Do you, or someone you love, have to avoid certain foods? Imagine passing on the pizza during your honeymoon in Rome, or skipping the sugar cookies your sister makes at Christmas. Shauna James Ahern understands your pain. After years of inexplicable exhaustion and endless medical tests, she found relief in a diagnosis of celiac disease. After giving up gluten, she learned how to live well and love food more fully. 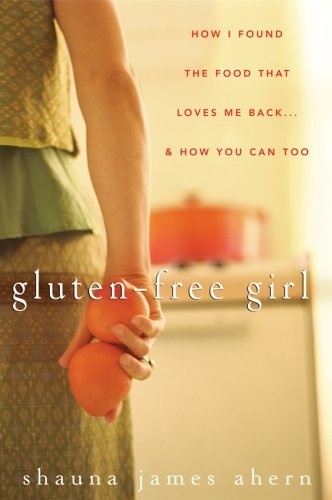 In Gluten-Free Girl, Ahern shares the journey that changed her from a typical Gen-X processed-food junkie to a fun-loving foodie who enjoys cooking and living gluten-free. Readers from around the world have followed her stories and insights on her award-winning blog, Gluten-Free Girl. Now she shows you how to say yes to a gluten-free lifestyle, too, and embrace a whole new world of fresh foods and flavors.